First year semi-pro football team Tuskegee Ayrmen are headed to the championship game. 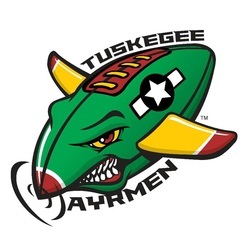 The Tuskegee Ayrmen defeated Pensacola 28-6 before approximately 500 fans at Henderson Park on June 14. The Ayrmen struck early and never trailed in the game. Despite having the best record in the league, the Ayrmen have been forced to play second-place Panama City on the road due to logistical reasons. Both teams enter with a 7-2 record and split the season series. Cherod Peebles, son of Kimberly Ellis, is playing semi-pro football with Coach John Black and Coach Foot’s Tuskegee Ayrmen. Peebles has been playing with the Ayrmen since November 2013. He plays receiver, tight end and defensive end. He is number 11 on the team and has been nicknamed “Chop Stick”. 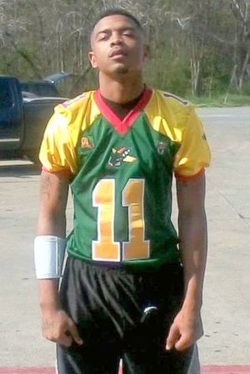 His first semi-pro football game was played Saturday, March 22, 2014.